Ace Transportation Services provides Santa Ana limousine rentals to and from Orange County, Los Angeles County, Riverside County, San Diego and San Bernardino areas. We are one of Southern California’s finest chauffeured car and executive limousine services for all occasions. We supply a complete fleet of limos that include Luxury Sedans, Town Car Limousines, Super Stretch SUV Limos, Executive & Luxury Vans, Mini and Party Buses. No matter what type of Santa Ana limousine service you need (wedding, prom, quinceanera, airport, business, event) we have the perfect limo and professional chauffeur that is trained to exceed your expectation. Santa Ana Limousine Fleet of Excellence! Featuring 4 to 14 passenger Lincoln Town Car Limousines for your enjoyment; including our 14 passenger Tuxedo Limo that is perfect for weddings, proms, quinceaneras and sweet 16 birthday celebrations. We provide both white and black SUV limos for rentals in Santa Ana, Orange, Irvine, Fullerton, Laguna and all Orange County, Los Angeles and San Diego. SUV Limos include white & black Cadillac Escalade and black Lincoln Navigator SUV Limousine. white & black Hummer H2 Limos are ideal for corporate events, nights out on the town, Santa Ana wedding limousine service. These hummer limousines are dress to impress you and your guest and are affordable for most anyone. Our 26 passenger party bus is perfect for bachelor party, bachelorette party, wedding and nights out on the town. It is the ultimate limo for larger groups that want a lot of space to party on wheels and plenty of leg room! Ace Transportation Services provides mini bus rentals in Santa Ana and for all group needs throughout Southern California; including Los Angeles, San Diego and Temecula Wine Tours, Santa Ana Convention Center, Las Vegas Bus Trips, Disneyland, John Wayne Airport Shuttles and more! We have 14+ types of Santa Ana Limousines for your enjoyment including our 8 passenger Mercedes Limousine and Luxury Sedans available for car services throughout Southern California. Ask about our special limo rates when you call to place a reservation or request a quote! Whether you are visiting Orange County for business or a special “get away”, we are here to help with reliable Santa Ana limo services 365 days a year! Select from our fleet of late model limos: 6 to 16 passenger stretch limousines, 24 passenger mini buses, 26 passenger party bus limo, 14 passenger vans, 16 passenger stretch Navigator SUV, Mercedes Limo, Lincoln Town Car Limousines and Sedans. All are well maintained. Learn more about our Santa Ana Limousines and Sedans. 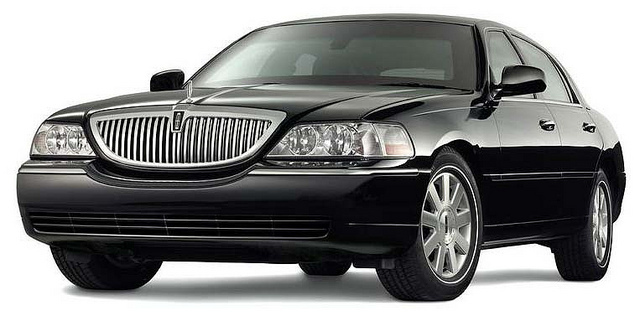 Santa Ana airport limousine services are our specialty. We offer clean and well maintained luxury sedans, vans, mini buses and limos for transportation to and from the John Wayne Airport (SNA) and Anaheim Convention Center, hotels, resorts and businesses. This is affordable airport transportation to and from Southern California airports and Santa Ana, Orange County, CA. There are plenty of fun things to do in Santa Ana, CA. Let us show you the way! Close to Huntington Beach, Newport Beach, Disneyland and Los Angeles … there are plenty of things to do in Santa Ana, CA. Our knowledgeable chauffeurs are here to show you the way around Southern California. Call 1-949 333-2745 or 1-844-4-ALS-Limo to learn how Ace Transportation Services can help make your vacation more enjoyable with our very best Santa Ana Limo, Luxury Sedan, Party Bus and Airport Transportation Services.